Independence Day is a week away. 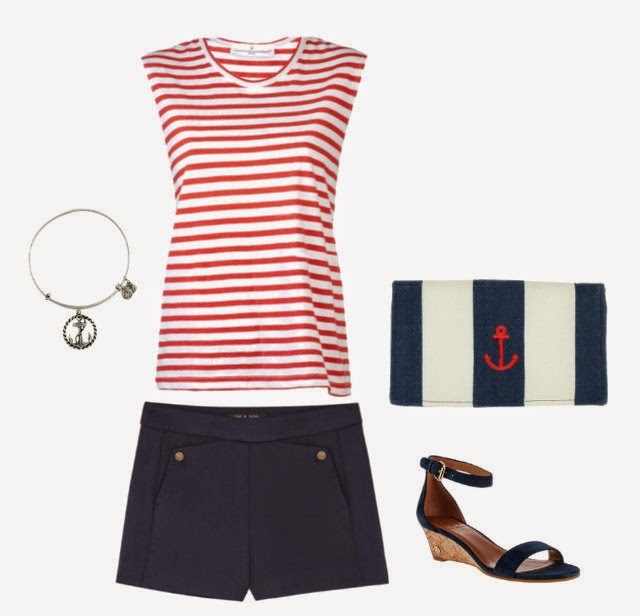 Before you start thinking that your only fashion option is a patriotic t-shirt from Old Navy, take a look at a few ways you can stylishly show your American pride. I'll be wearing this outfit to a friend's barbecue. It's comfortable and stylish, and it's patriotic without looking like the American flag. Here are few more options for wearing red, white, and blue depending how you'll be spending your day.